In the Church services, there are many prayers concerning the Most Holy Virgin Mary, Mother of our Lord Jesus Christ. We have feasts that commemorate Her life and hymns that exalt Her name. One such prayer is the oldest known prayer to the Theotokos, known as ‘Beneath thy compassion’. 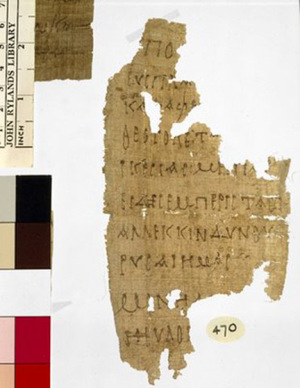 Written on a piece of papyrus and originally in Greek, the prayer dates back to approximately 250 A.D, and asks the Holy Virgin to protect us from all danger. What’s interesting about the prayer is the use of Theotokos, which means ‘she who gave birth to God’ or ‘God-bearer’ in Greek. The only time the name Theotokos was mentioned was during the Third Ecumenical Council in 431 A.D, when the Nestorian heresy came about. Nestorius, the Patriarch of Constantinople, said in his teachings that the Virgin Mary should be called Christotokos (‘Christ-bearer’) instead of Theotokos. Nevertheless, the Council condemned Nestorius and his doctrine and defended the Virgin Mary’s rightful title of God-bearer. However, this prayer illustrates that the term was more than a theological concept and was already in use well before the time of the Ecumenical Council. It’s fascinating that a soulful and spiritual prayer has been circulated throughout the Christian world and is still used today in Church services. It only serves to illustrate that the Holy Theotokos is with us and will intercede for us on our behalf, if we have fervent prayer in our hearts. Fasting was ordained in Paradise. The first injuction was delivered to Adam that he was not to eat of the tree of the knowledge of good and evil. “Thou shalt not eat” is a law of fasting and abstinence. The general argument is rather against excess than in support of ceremonial abstinence. In Paradise there was no wine, no butchery of beasts, no eating of flesh. Wine came in after the flood. Noah became drunk because wine was new to him. So fasting is older than drunkenness….Fasting begets prophets, strengthens strong men. Fasting makes lawgivers wise, is the soul’s safeguard, the body’s trusty comrade, the armor of the champion, the training of the athlete. The conclusion, however, is a warning against mere carnal abstinence. Beware of limiting the good of fasting to mere abstinence from meats. Real fasting is alienation from evil. Loose the bands of wickedness. Forgive your neighbour the mischief he has done you. Forgive him his trespasses against you. Do not fast for strife and debate. You do not devour flesh, but you devour your brother. You abstain from wine, but you indulge in outrages. You wait for the evening before you take food, but you spend the day in the law courts. Woe to those who are drunken, but not with wine! Anger is the intoxication of the soul, and it out of its wits like wine….May the Lord, Who has brought us to this period of time, grant to us, as to gladiators and wrestlers, that we may show firmness and constancy in the beginning of contests! There is a drunkenness not of wine but of hatred. THis more than anything else causes God to turn away. As for the devil, he attempts to bring it about in those who pray and fast. He prompts them to remember wrongs, he directs their thoughts toward harboring malice, and he sharpens their tongues for slander. So brethren, in this time of fasting and prayer, let us with all our hearts forgive anything real or imaginary we have against anyone. May we devote ourselves to love! Let us consider one another as an incentive to love and good works, speaking in defense of one another, having good thoughts and dispositions within us before God and men. In this way our fasting will be laudable and blameless, and our requests to God will be readily received. We are told: It is of no great consequence to eat non-fasting food during the Great Fast. It is of no consequence if you wear expensive and beautiful outfits, or go to the theater, or attend parties and masquerade balls. It is of no import if you use expensive chine and furniture. It is of no matter if you acquire expensive carriages and dashing steeds, amass and hoard things, etc. Yet what is it that turns our heart away from God, away from the Fountain of Life? Because of what do we lose eternal life? Is it not because of gluttony, of expensive clothing like that of the rich man of the Gospel story, is it not because of theater and balls? What turns us hard-hearted toward the poor and even toward our relatives? Is it not our passion for sweets, for satisfying the belly in general, for clothing, for expensive dishes, furniture, carriages, for money and other things? Is it possible to serve Christ and Belial? That is impossible. Why did Adam and Eve lose Paradise? Why did they fall into sin and death? Was it not because of one evil? Let us attentively consider why we do not care about the salvation of our soul, which cost the Son of God so dearly. Why do we compound sin upon sin? Why do we fall endlessly into opposing God and choosing a life of vanity? It is not because of a passion for earthly things and especially for earthly pleasures? What makes our hearts become crude? Why do we become flesh and not spirit, perverting our moral nature? Is it not because of a passion for food , drink, and other earthly comforts? How after this can one say that it does not matter whether you eat non-fasting food during the fast? The fact that we talk this way is in fact a show of pride, and idle thought, and act of disobedience, a refusal to submit to God, and a separation from Him. Abbess Alexandra of the St John Convent speaks about her spiritual fathers, Saint John of Shanghai and San Fransisco, and St Philaret of New York. This week, the Holy Church calls Her children to prepare for the fast by abstaining from meat. Even though we are still celebrating the feast of the Meeting of the Lord, the divine services begin to have a solemn character, calling us all to repentance and cleansing of our souls. Grant us humbly and in peace to pass through the days of cleansing that prepare us for the Fast. In Thine ineffable love for mankind, o Christ our God, destroy the wicked schemes of the enemy and preserve us all by Thy Cross, for Thou alone knowest the secrets of man’s heart. The grace of the holy Fast has begun to shine upon us, cleansing our unstable thoughts and driving away the darkness of our surfeiting. Let us, then, accept this grace with eager faith. If thou dost fast from food, my soul, yet dost not cleanse thyself from passions, thou dost rejoice in vain over thine abstinence. For if thy purpose is not turned toward amendment of life, as a liar thou are hateful in God’s sight, and thou dost resemble the evil demons who never eat at all. Do not by sinning make the fast worthless, but firmly resist all wicked impulses. Picture to thyself that thou are standing beside the crucified Saviour, or rather, that thou art thyself crucified with Him who was crucified for thee; and cry out to Him: Remember me, o Lord, when Thou comest in Thy Kingdom. Read also the February “Shepherd” magazine from the Brotherhood of Saint Edward in the United Kingdom, which contains more materials on the approaching Great Lent. 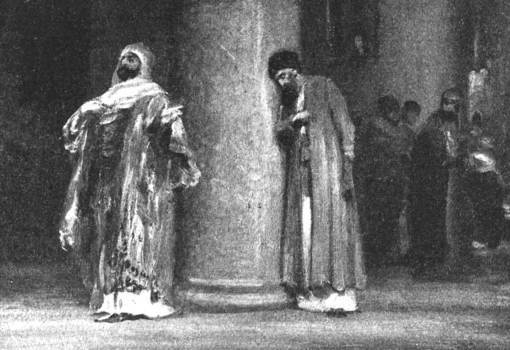 The three holy hierarchs, St Basil the Great, St Gregory the Theologian, and St John Chrysostom, lived in times of great turmoil for the Church. Although there was no more persecution from pagans, heretics and Christians of weak faith and poor moral standards stood up against the holy ones. In AD379, when the faithful in Constantinople talked St Gregory the Theologian into becoming their bishop, the Orthodox had no churches in the capital city. The Arian heretics held them all. St Gregory stayed with a relative in the city, and converted one of the rooms of his relative’s house into a Church, dedicated to the Resurrection, not only of Christ our Lord, but also, the resurrection of Orthodoxy. By fervent prayer, daily services, and daily instructional sermons, St Gregory began to convert the city back to Orthodoxy. But it was not easy. St John Chrysostom suffered many unjust accusations, exile and death in a strange land without support because he offended the vanity of the Empress and many less than virtuous clergymen. Councils even anathematised the holy man! ….he, hurrying on to the completion of his design, although we had declared our readiness to clear ourselves of the charges in the presence of a hundred yea or a thousand bishops, and to prove ourselves innocent as indeed we are, would not consent: but in our absence, when we were appealing to a synod, and demanding a trial, and not shrinking from a hearing of our cause, but only from open enmity, he both received our accusers and absolved those who had been excommunicated by me, and from them, who had not yet cleared themselves of the offences laid to their charge, he received complaints against me, and had minutes made of the proceedings, all which things are contrary to law, and the order of the canons. But what need is there of a long story? He did not cease doing and contriving everything until, with all possible display of arbitrary power and authority, he ejected us from the city and the church, when the evening was far advanced and all the people were streaming after us. Being drawn by the public informer through the midst of the city, and dragged along by force I was taken down to the sea, and thrust on board ship, and made a night voyage, because I appealed to a synod for a just hearing of my cause. Who could hear these things without tears, even if he had a heart of stone? In my judgement, the war that is waged against us by our fellow countrymen is the hardest to bear, because against open and declared enemies it is easy to defend ourselves, while now we are necessarily at the mercy of those who are associated with us, and are thus exposed to continual danger….Our father were persecuted, but by idolators…The persecutors, who have lately appeared, hate us no less than they, but, to the deceiving of many, they put forward the name of Christ, that the persecuted may be robbed of all comfort from its confession, because the majority of the simpler folk, while admitting that we are being wronged, are unwilling to reckon our death for the truth’s sake to be martyrdom. I am therefore persuaded that the reward in store from the righteous Judge is greater than that bestowed on the former martyrs. They indeed both had the public praise of men, and received the reward of God; to you, though your good deeds are not less, no honours are given by the people. It is only fair that the requital in store for you in the world to come should be far greater….I exhort you, therefore, not to faint in your afflictions, but to be revived by God’s love, and to add daily to your zeal, knowing that in you ought to be preserved that remnant of true religion which the Lord will find when He comes on earth….If traitors have arisen from among the clergy themselves, let not this undermine your confidence in God. We are saved not by names, but by mind and purpose, and genuine love toward our Creator….Remember that it is not the multitude who are being saved, but the elect of God…If but one be saved, like Lot at Sodom, he ought to abide in right judgement, keeping his hope in Christ unshaken, for the Lord will not forsake His holy ones. 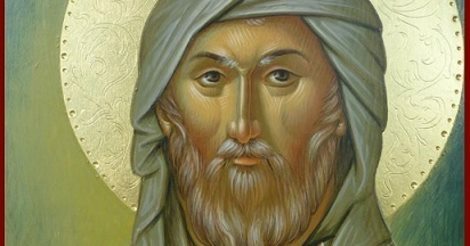 In view of the lives of the three holy hierarchs, is there any reason for the Orthodox today to fear? No longer does the Arian heresy trouble the Church (although it still exists in a different form). Today, it is the heresy of Ecumenism that is the greatest threat. 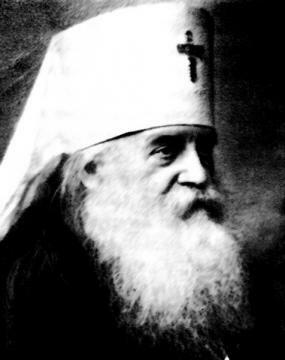 The true Orthodox understand that in abstaining from communion with heretics, in attending humble house-churches instead of glorious cathedrals, they are indeed following in the footsteps of the saints! 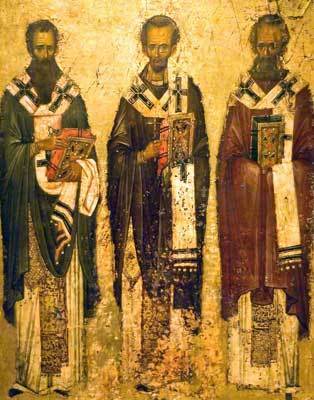 O Holy Hierarchs, Basil the Great, Gregory the Theologian, and John Chrysostom! Strengthen all the Orthodox, console and uplift us! Make us firm on the path of salvation through suffering for Christ, in cleansing ourselves from sin through sincere repentance, and struggling for piety by fulfilling His commandments! Lift your eyes to Heaven, when it, like a clean mirror, gloriously illumines the earth with its stars, and say in awe: If the stars shine with such glory, then how much more so will the righteous and the saints who have done the holy will of God shine with the inexpressible light of saving glory when the Lord comes. Having called to remembrance that awesome coming, shudder in body and soul, and with heartfelt agony say to yourself: What sort of person will I, a sinner, show myself to be in that terrible hour? How will I stand before the throne of the awesome Judge? How could I, who am dissolute have a place among those who are perfect? Or how could I, who am a goat, stand among the sheep at Christ’s right hand? Or how could I, who am fruitless, be numbered among the saints, who have here brought forth the fruits of truth? The martyrs will their torments, the ascetics their good works; but what will I have to show but my apathy and my incessant indulgence? O sinful soul, shameless soul, o soul which has always hated the God-pleasing way of life! How long will you delight in your wretched addiction to evil thoughts? What do you wait for in your apathy? Do you think that the Judge will be late in coming? He will not tarry; rather, His coming will be like terrible lightning from the heavens. Try to be prepared for that terrible hour, that you might not then weep unto the ages. Through the prayers of the Holy New Martyrs, may we also attain to true piety. Help us to discern the subtleties of empty and vain “spirituality”! Our Church dared to glorify the Holy New Martyrs. The Soviet-controlled Moscow Patriarchate was strongly opposed to such a glorification. 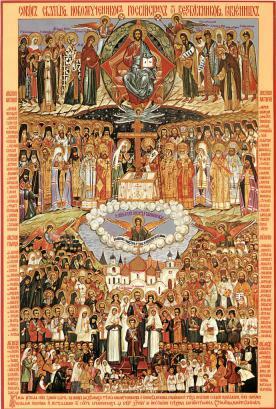 To this day, many of the Saints glorified in 1981 by ROCA are not recognised as Saints by the Moscow Patriarchate. The glorification in 1981 produced fruits. Piety flourished in the parishes. Many young people decided to abandon everything, enter seminary or monasteries, and dedicate their lives to God. 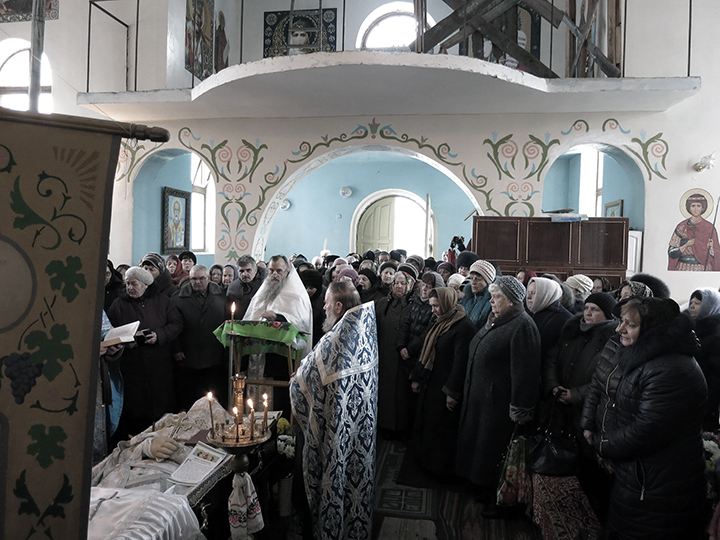 Who would think, having seen such glorious services, with throngs of faithful attending, that the Russian Orthodox Church Abroad would again face persecution? Who would think that She would enter the catacombs, like the New Martyrs whom She had glorified?! Sadly, only a few have stood up to this statement…A small minority, despite their obvious weaknesses, sins and failings, have found it impossible to overlook the struggle, confession, and witness of the Holy New Martyrs. They have found it impossible to call it a “historical problem, which is meaningless now”. Therefore they have chosen to remain with the ideals of the Russian Orthodox Church Abroad. 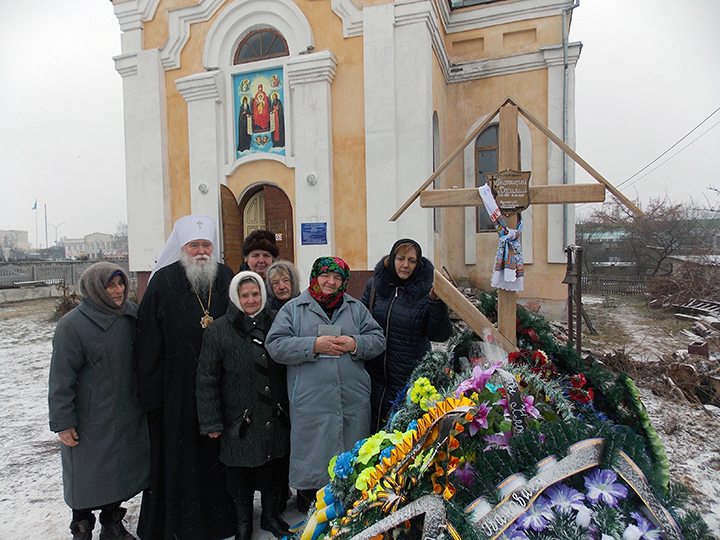 Others have instead joined the Moscow Patriarchate - that same “church” structure which persecuted these New Martyrs (!). Lord, help us to preserve the talent Thou hast given us through Baptism into Thy Holy Church. 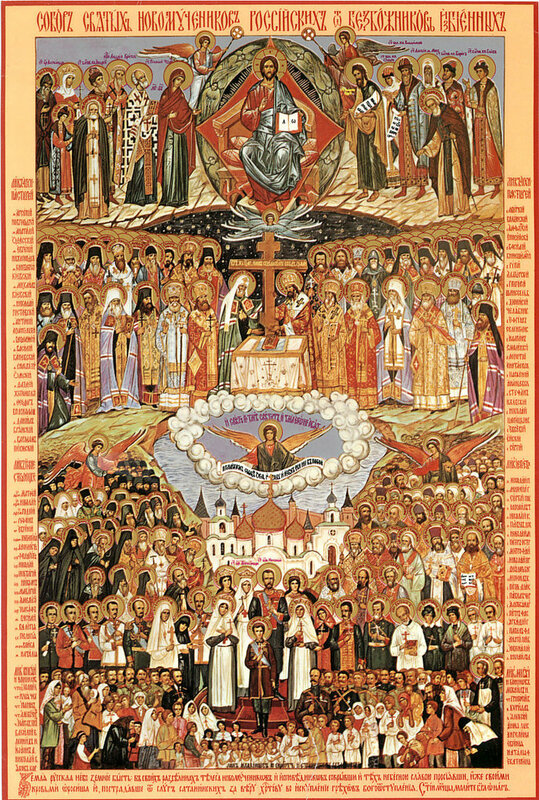 Help us to follow the confession of the Holy New Martyrs, who did not bow down to the antichrist even in his most subtle form… Forgive us our many sins and failings, and direct our paths, so that we may always carry our Cross, even in the subtle deception of our times, and thus reach full Communion with Thee - our salvation. The one who does not disdain glory and pleasure and greed which increases them and which is in turn produced by them cannot cut away the occasions of anger. And the one who does not cut them away cannot attain perfect love. Silence the one who is slandering in your hearing lest you commit a double sin with him: by accustoming yourself to this deadly vice and by not restraining him from foolish talk against his neighbour. Do not lend your ear to the slanderous tongue nor your tongue to the fault-finders ear by readily speaking or listening to anything against your neighbour. Otherwise you will fall away from divine love and be found excluded from eternal life. 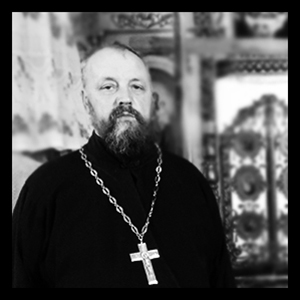 Fr Vasily was exceptionally honest in his desire to serve God. He dedicated his entire life to God. He did not have a family. He devoted all his time to the church. He slept next to the church in order to guard the building materials, which could be stolen. He had no house - the building he slept in was more like a makeshift wooden shed than a house, not heated at all. When it rained, he would put out nine basins in his room. Because of such living conditions, he was often ill. The last time he stayed with parishioners due to illness (just before Christmas), someone came and set fire to his makeshift home…. We know that our Lord, the “Son of man hath not where to lay his head“(Matthew 8:20). Truly, self-sacrifice is what can conquer the world -not some kind of material power. There is a long history to these kinds of problems – it is deeper than simple attachment to material goods. Indeed, in Soviet times, the policy was to appoint the most debauched people to positions of importance. This is well known, and is the second part of sergianism. The first part is servitude before worldly powers. While faithful of little faith cower before power, the government does not help at all….Instead, they intentionally plant sinfulness in the Church, in order to destroy it from within, destroying the priesthood and episcopacy by appointing the most sinful people - drunkards, unchaste ones, debaucherers, avaricious and cruel people. The idea was to have the simple people look at such clergy, and then reject Christ because of their behaviour. All these are elements of how the atheists fight the Church. Today, it is no longer the state which promotes this order of affairs in the Church. Rather, it is the people within this strange “church corporation”. It is impossible for them to accept an honest person – either he has to become “like everyone”, or leave. All who have had to deal with church questions understand what I am describing. This is terrible. There is no more hope of fixing the system. Therefore, a person has to run from it, in the same way as Lot ran from Sodom, in order to seek his “Sigor”, that is, a place where he can save himself. In this same way, honest priests run from the MP. They find no other solution. If they stay, it is like being crammed in a small room with many smokers, while hoping to escape the noxious fumes. Wherever the person goes, he will smell like smoke…. However, leaving means obligatory persecutions and sufferings. We can only hope in a miracle of God. Earlier, I sometimes tried to encourage people to come to our church. Now I do not do this anymore. This is because we cannot offer these people anything. Coming to our Church means accepting persecution, slander from every direction. There is nothing we can offer anyone - except for the CROSS! A person has to be free, and decide himself. For such people, it is enough to watch football, eat, drink, sleep….spiritual questions do not concern them. In fact, in the mainstream media, spiritual concerns are misrepresented as madness. Every place and country has been changed….there are no more righteous people…Now, one more righteous man has died. There is one less man praying to God. Nevertheless, Fr Vasily’s memory is joyous. We do not know what will happen in the future for the church building in Malin, Ukraine. The parishioners, mostly old women, all trusted Fr Vasily. They saw his dedication to the Church, and followed him. Anything can happen. Of course we will do what we can to keep this parish of our Russian Orthodox Church Abroad. However, we can only have hope in God. We are powerless before the powerful of this world – there are no more laws or honourable words. Now, there is only chaos….so we can only hope in God. This is our most reliable weapon against the world – let us have hope in Him, keep to Him, pray to Him. May it come true with us also, that we remain faithful to Him to our last breath!